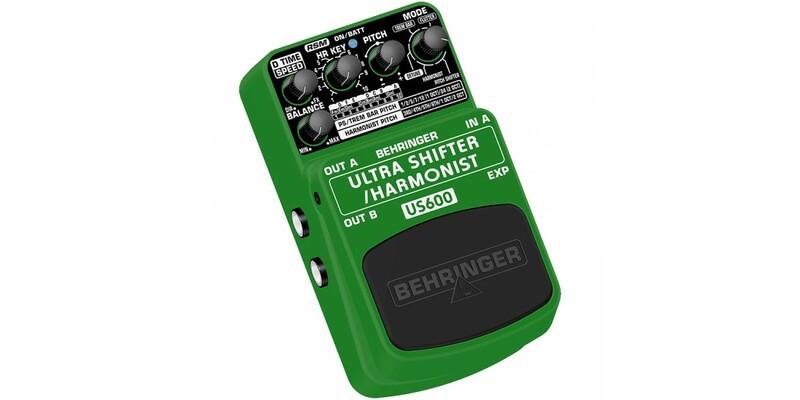 The US600 ULTRA SHIFTER/HARMONIST is like having another guitar player in your band (without all the hassles that would create). Shift single notes and chords to create simple transpositions, intelligent harmonies and radical bends up to ±2 octaves. The US600 stomp box offers 5 totally different-sounding Modes: Tremolo Bar, Flutter, Detune, Harmonist and Pitch Shifter. Pitch Shift and Tremolo Bar pitch can be shifted from 0 to 2 octaves; Harmonist pitch can be tweaked to track 3rds, 4ths, 5ths, 6ths, octaves or double octaves. There’s a separate 10-step Key select control as well as Delay/Speed control and Balance to dial in how much effect you want to mix with a dry signal. Real Sound Modeling (RSM) DSP with its sophisticated algorithms deliver the delicate harmonic overtones that are critical to creating realistic harmonies and transpositions. A brilliant blue LED indicates power status and battery condition. The footswitch is ultra-strong to last through years of gigging. And when in bypass mode, it preserves signal integrity by taking all pedal circuitry out of your chain. 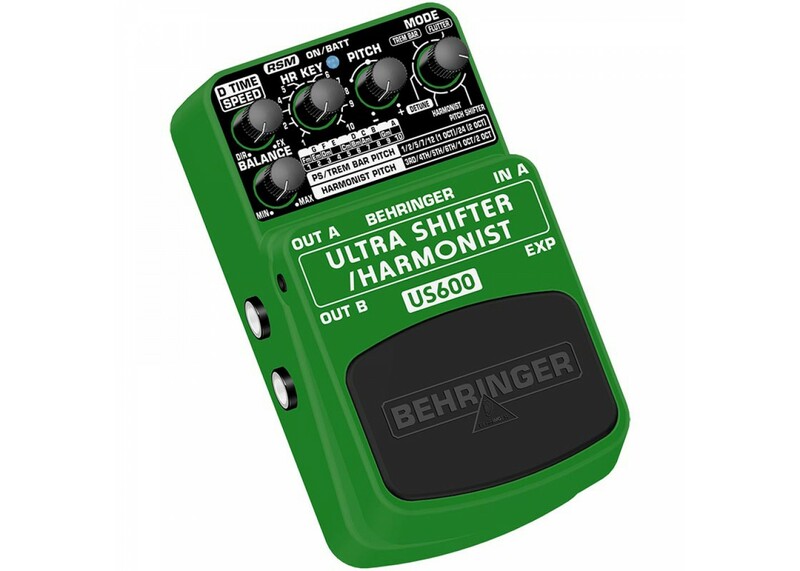 The US600 pedal is designed to give you the utmost flexibility, running on our BEHRINGER PSU-SB DC power supply or a typical 9 V battery. Plug into the US600 and create sweet-sounding harmonies to your heart’s content.